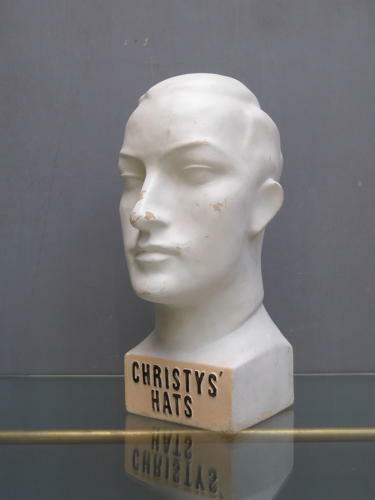 A wonderful rare advertising bust for Christies' Hats. A fantastic & seldom found piece of advertising for Christies', probably the most regognised hat maker in the world with a rich history dating back almost 250 years. The piece is made in rubberoid & underside of the figure is marked for 'Beritex' who were responsible for making some of the finest advertising figures of the early 20th century. Wear commensurate with age, very good overall overall.